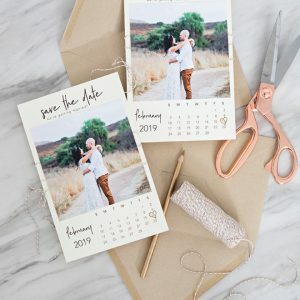 You HAVE To See These DIY Photo Save the Dates! 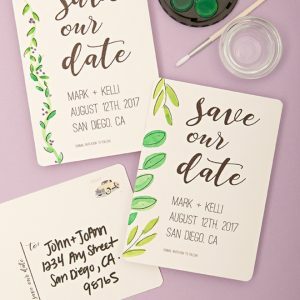 Handmade photo Save the Dates are our jam! You might have seen one of our popular designs on Pinterest and today we’re sharing more since ya’ll are obsessed! 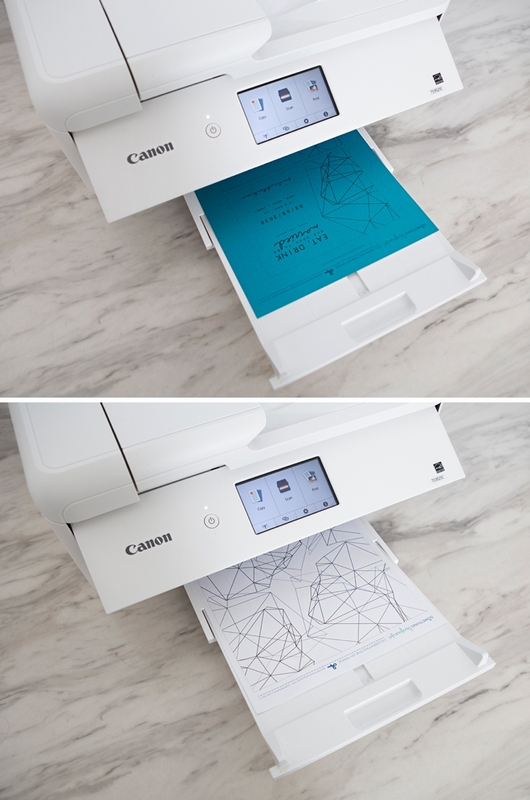 We’ve partnered with Canon to bring you three printable, editable designs for FREE which even include matching envelope liners. 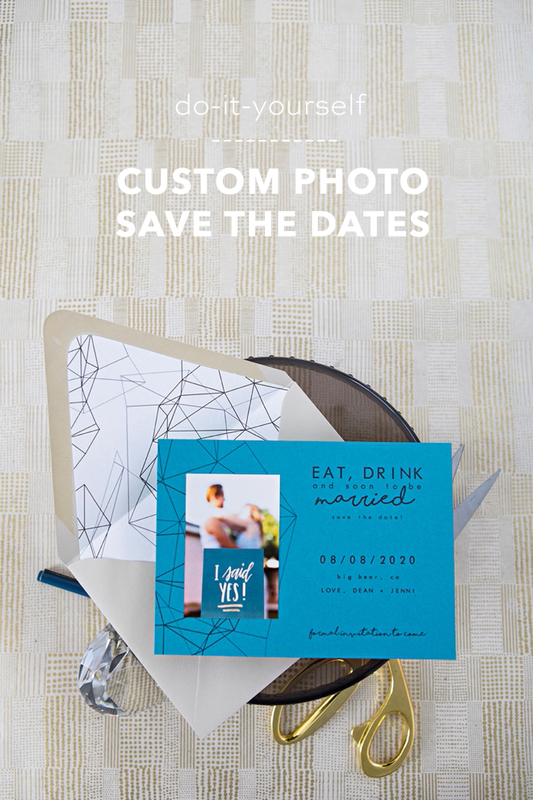 Your choice of photo and the color of paper will make them exclusively yours. 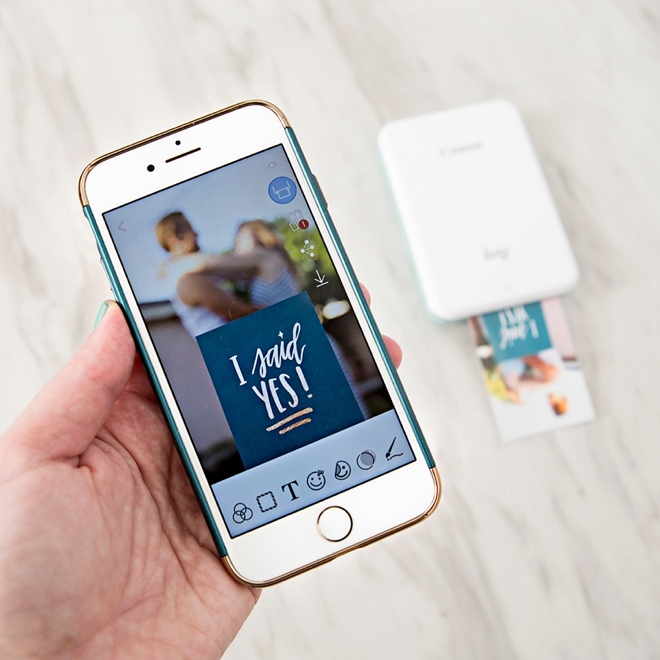 The Canon IVY Mini Photo Printer makes this project super easy and adds an adorable custom look to the cards. 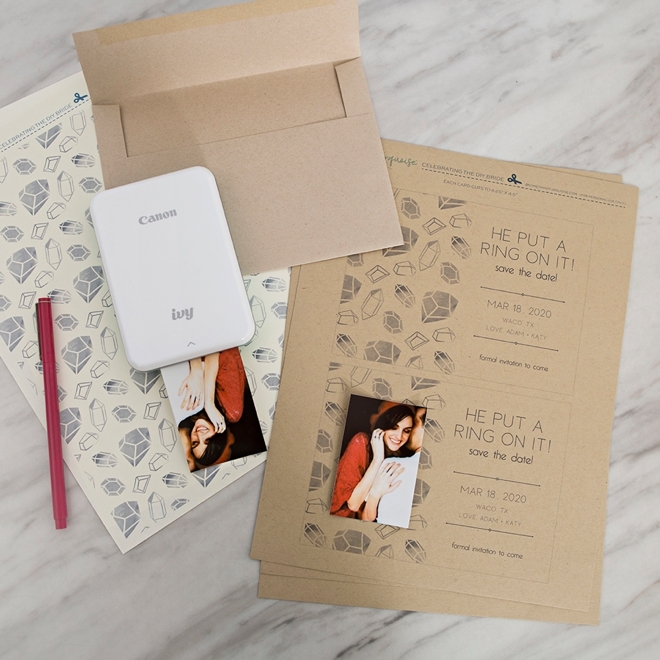 If you needed a reason to purchase that darling little on-the-go photo printer, here it is! 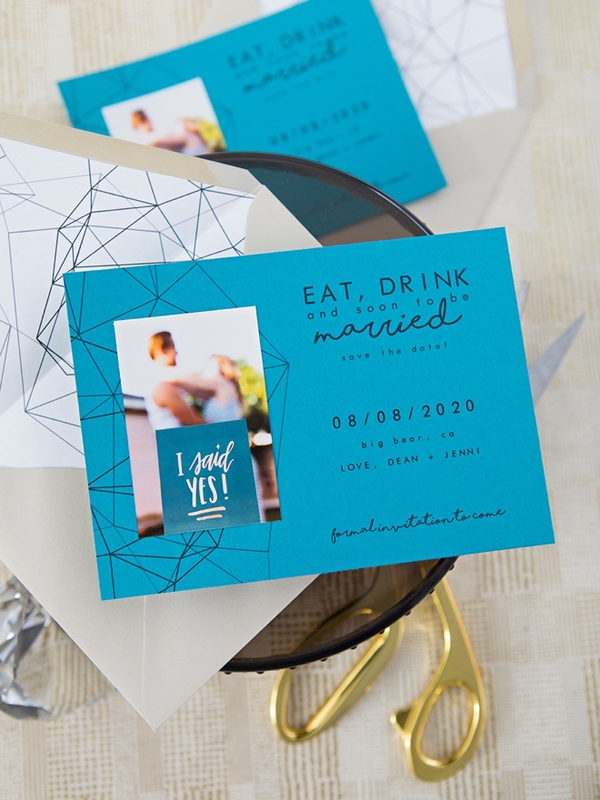 We have three fabulous printable save the dates for you in geometric, floral, and gemstones themes! Each one has a cute different saying about saving your date. All you have to do is choose your favorite. 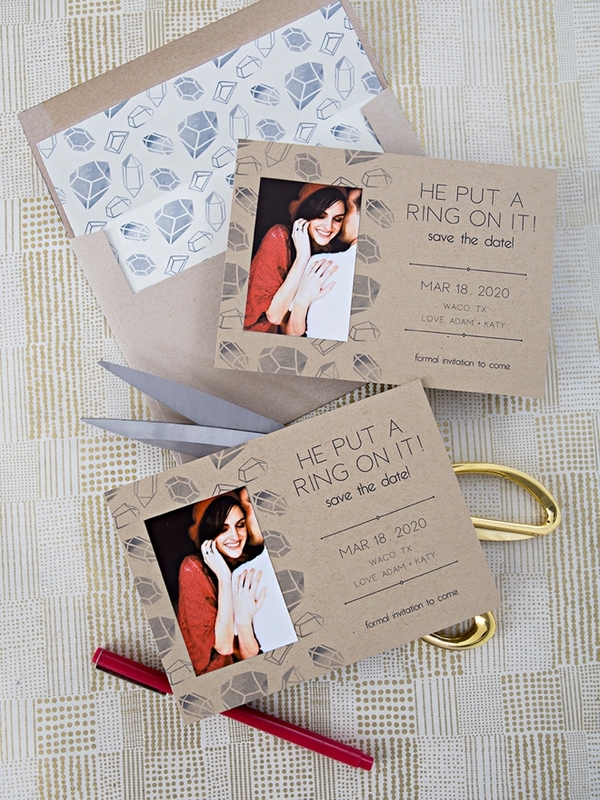 The “HE” put a ring on it design also comes in a “SHE” put a ring on it version to include everyone in on the fun! 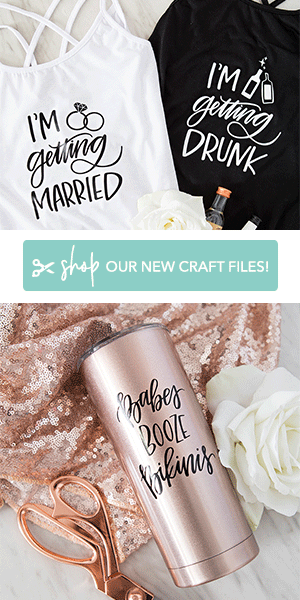 Our FREE printable and editable designs at the end of the post! 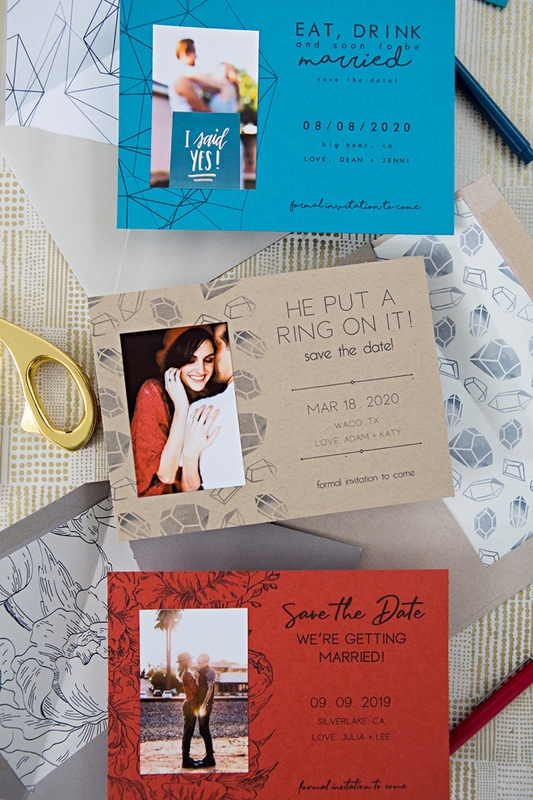 Start by downloading your favorite save the date design at the end of our post. The download will begin instantly. Locate the file and open it using Adobe Acrobat or Adobe Reader. Fill in the highlighted blue area with your unique information and save the file. Free fonts: Futurist Fixed-Width and Loves Font will need to be downloaded before editing. 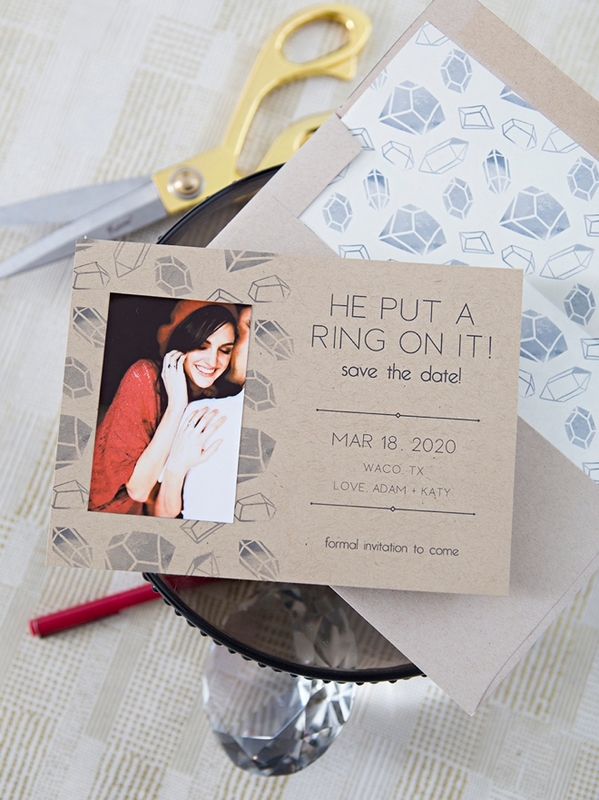 Each design comes with the card printable and the envelope liner printable. Print your saved card file onto 8.5″ x 11″ cardstock, medium to light colored paper recommended. 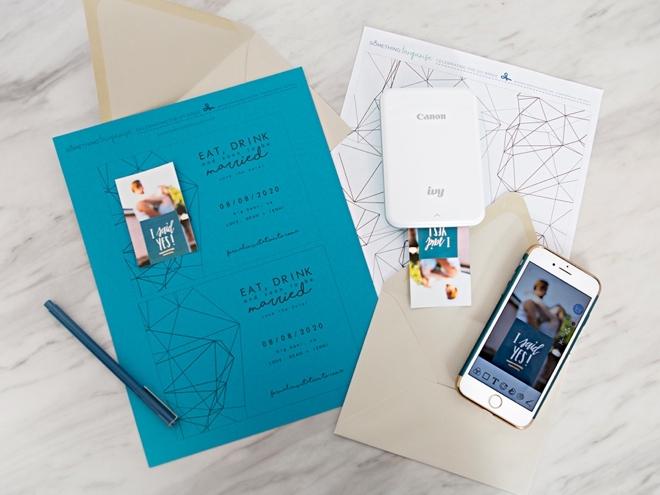 Then print the envelope liner on regular weight paper, it should be printed on a thin paper, not a heavy cardstock. 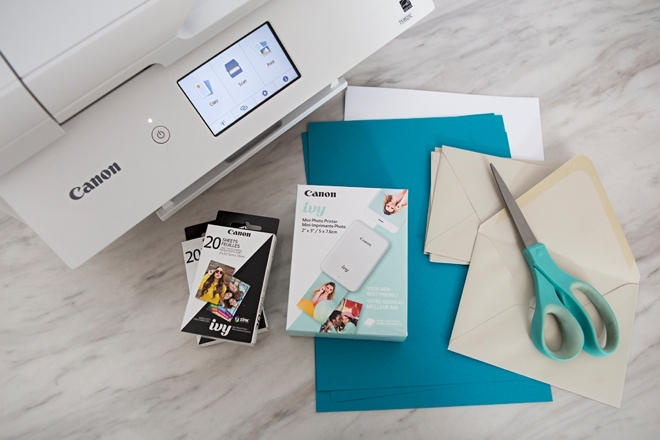 The Canon IVY Mini Photo Printer is the pocket-friendly printer that travels with you, wherever you go! 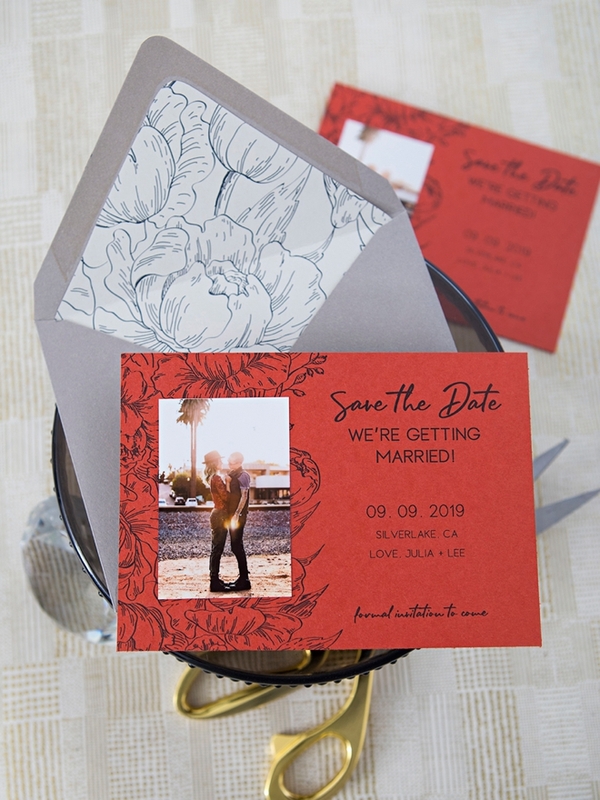 You can print peel-and-stick 2″ x 3″ photos right from your smartphone or favorite social media platform instantly. 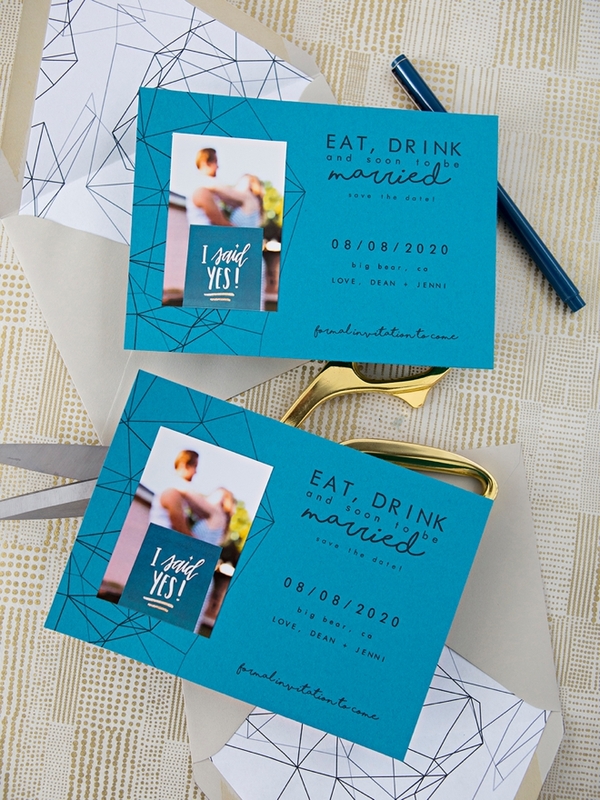 We’re using the 2″ x 3″ stickers for the photos of this project, which makes it SUPER easy and quick! Access your photo from your smartphone and print using the Canon Mini Print app. 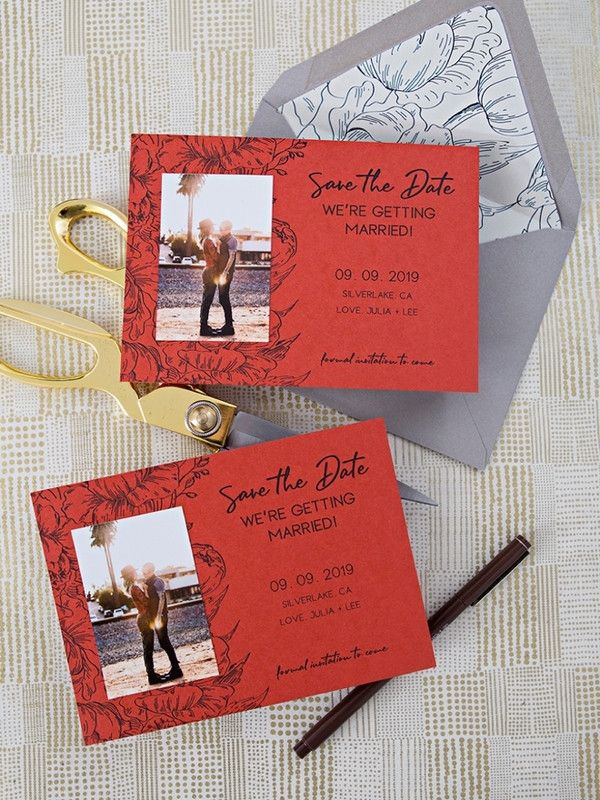 Trim the A6 sized flat cards using a paper trimmer or scissors. There are two per 8.5″ x 11″ sheet. 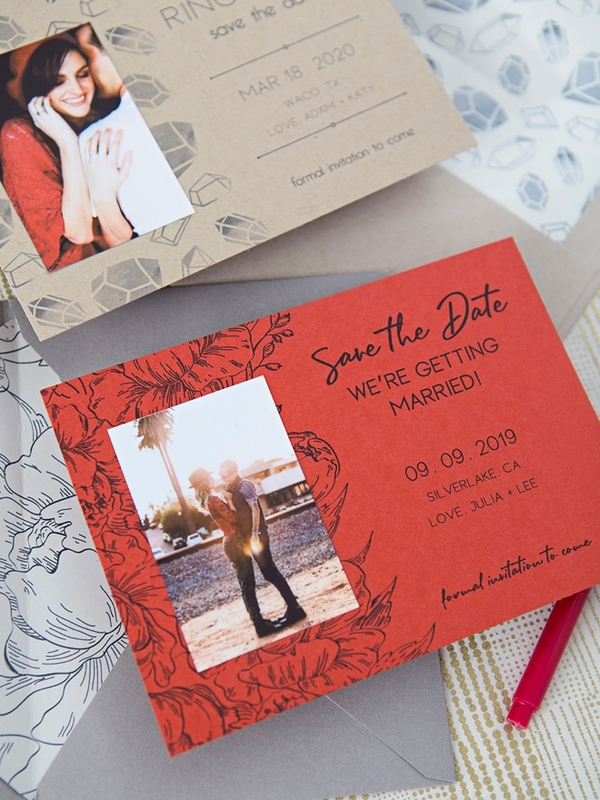 Peel the backing off your IVY photo stickers and apply over the graphic area of the card design, so cute! 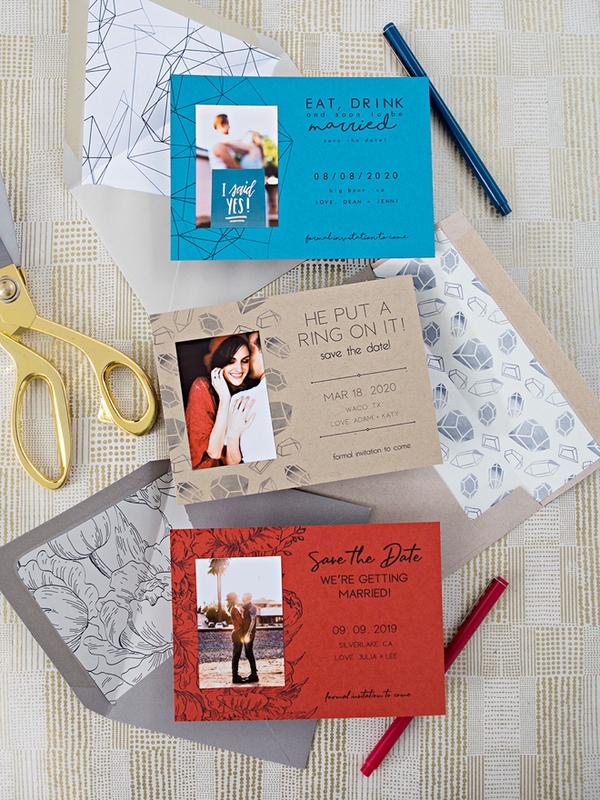 Since the shape of everyone’s envelopes will be different, we’re sharing a printable sheet instead of one size liner. 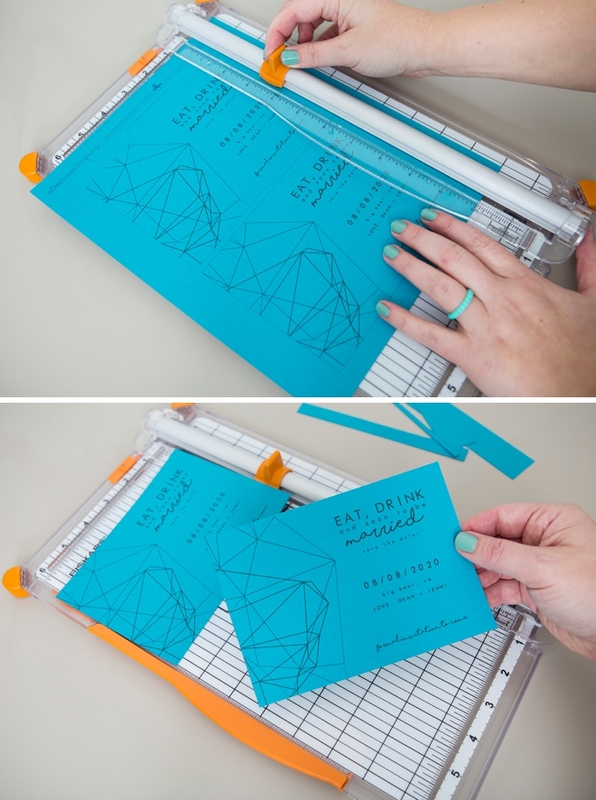 Trace your envelope on the printed sheet then cut it out 1/8″ inside your trace line. Slip inside of the envelope, fold the flap down to create a crease and adhere to the top flap of the envelope only using a glue stick. 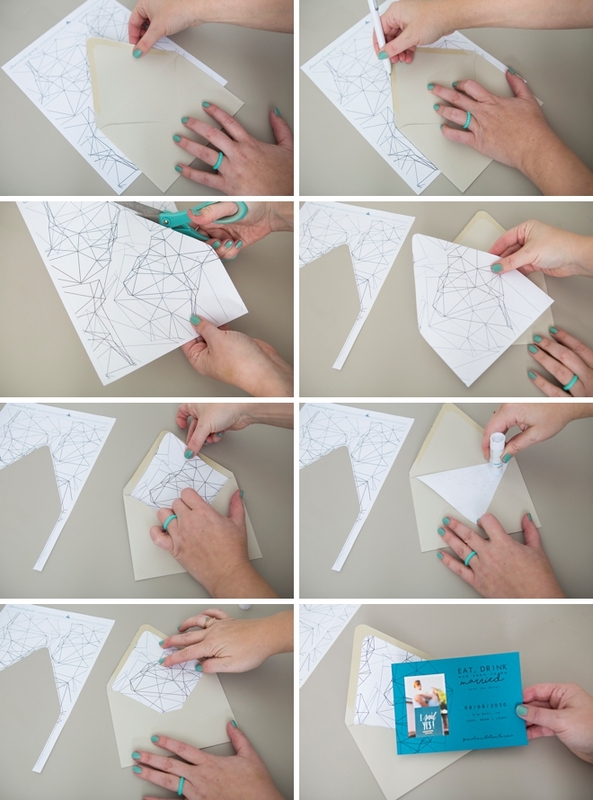 Fabulous, matching envelope liners are really easy to make using these steps! 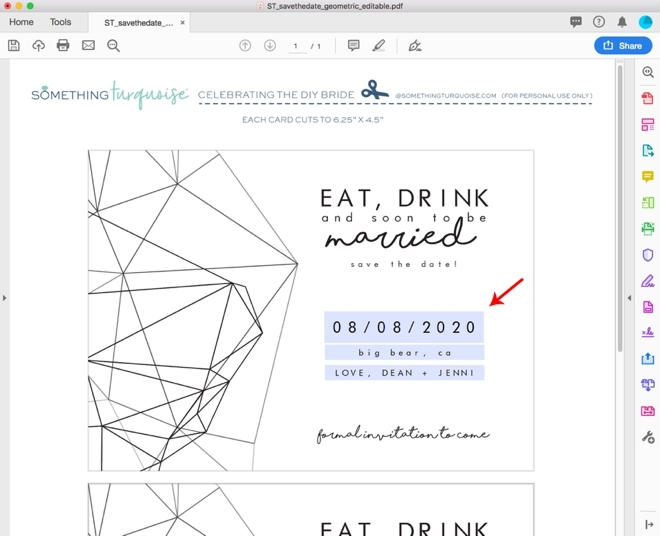 The day you send out your Save the Dates is so much fun! 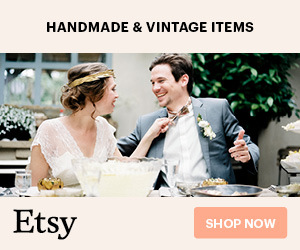 It’s the full-fledged beginning of your wedding planning… and the Canon IVY can help you make your beginning handmade. Canon IVY Crafting For The Win! 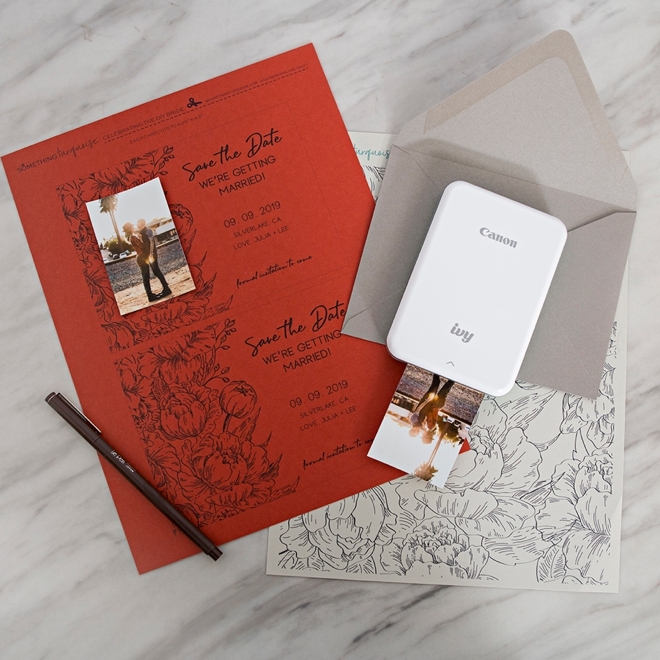 Instead of the Canon IVY Mini Photo Printer, they should call it the Canon IVY Mini Sticker Printer! 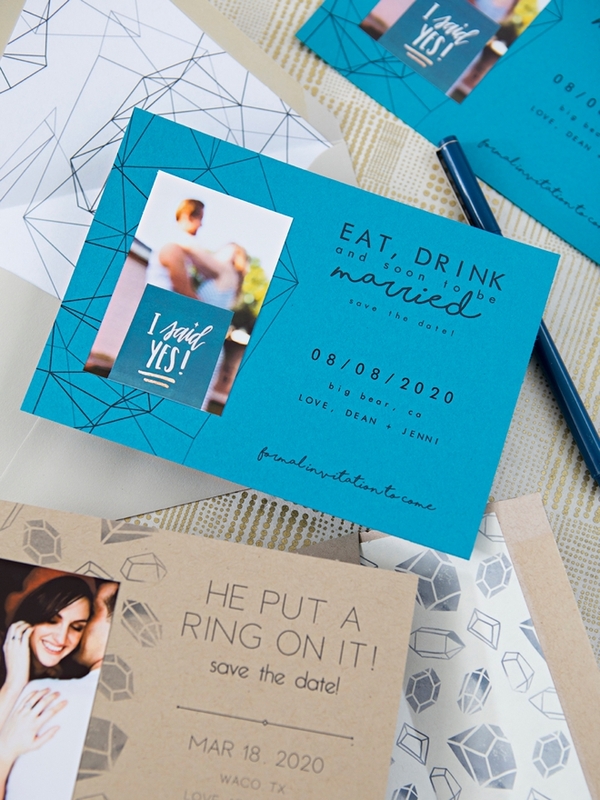 This little on-the-go sticker printer is seriously the best, especially for wedding crafts. 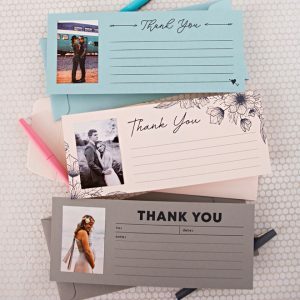 If you love this project, you’ll love our thank you cards, seating chart, and table numbers that we made with the stickers too! 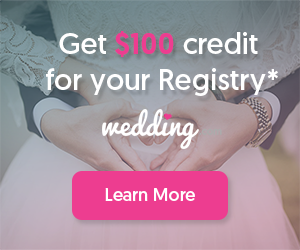 All printables are free of course!